RCV Performance Smooth-Drive CV Axles are designed to easily replace universal jointed front axle shafts, and have been tested to be twice as strong as original equipment axles. Ultimate CV Axles are simply unbreakable - even when running big tires and big power. They're just as tough at a straight angle as they are all extreme angles - where u-jointed axles are at their weakest. RCV's constant velocity design eliminates u-joint binding to allow smooth power transfer to the ground, and readicate steering wheel shimmy. The company's patented Spherical Sealing Technology provides much greater resistance to punctures and tears than a rubber CV boot. Put the power down with confidence. 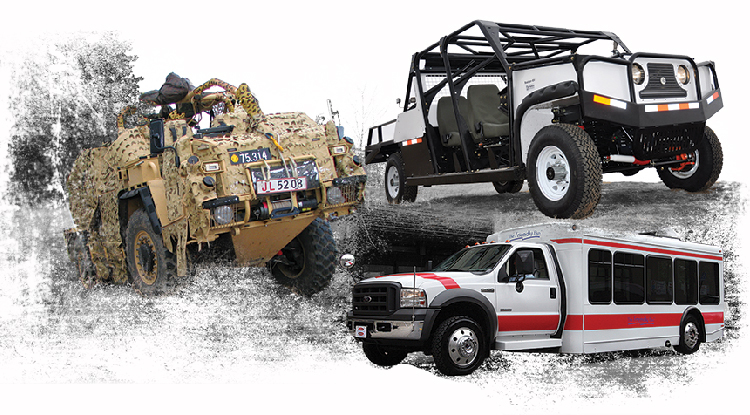 To learn more about our fleet product capabilities, please contact us.